The concept sounds reasonable until you look beyond the gloss and spin and see that so much of the concept is about the usual suspects working public policy and using spin to gain advantages for developers. Having innovative architecture and landscape design is always to be encouraged. The more complex task for consumers, residents, voters and people with a commitment to the future of our built environment is to call out the fakery when it surfaces usually in the shape of a proposal pretending to care for our urban spaces. 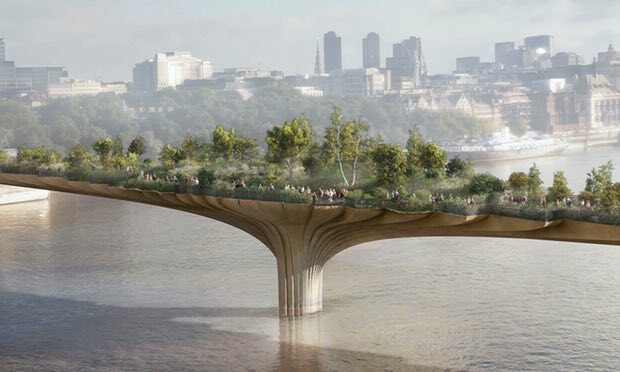 I hope that this one sinks following the Mayor of London’s decision not to spend any more public money on it. And I agree with the author that those involved should now be made to pay back the money already spent. This should now become a case study on how the public purse can be robbed under the guise of a silly proposal. Click here for The Guardian’s architecture writers article. and for more – click here.